If you're looking for a baby shower gift that will stand out from the crowd, why not make something yourself? Do-it-yourself gifts are the ultimate way to show the mom-to-be just how much you share her excitement over her impending arrival. These fun, unique ideas will be a hit at any baby shower. 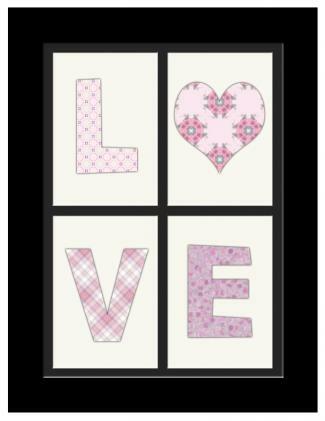 Every new mom loves to receive a gift of art to decorate the walls of the baby's nursery. 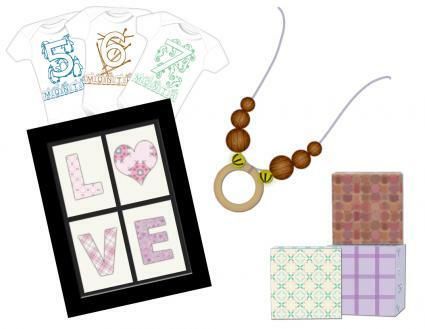 If you know the colors she'll be using to decorate, you can create your own unique LOVE sign using your favorite scrapbooking paper. This is a quick project with lots of visual impact. Expect to spend about an hour on it. Spread out the four sheets of ivory or white paper. You'll be taping the patterned pieces to these. Cut an L, V, and E out of the patterned paper. Don't worry about making the letters perfect. You want this art to have a quirky, handmade look. Cut a large heart out of the remaining piece of patterned paper. You'll use this instead of the O in "love." Tape one letter or heart onto each piece of plain paper. Starting at the upper left of the frame, begin inserting the letters in order. Replace the back of the frame and wrap up your gift. 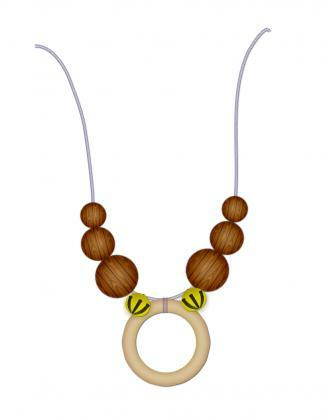 A nursing necklace gives the baby something to look at and play with during feedings, and it makes a unique gift for a new mom to wear during this sweet time with her little one. It's easy to create and is a wonderful addition to a homemade gift basket that features nursing supplies. Expect this project to take about 30 minutes. Sand the wooden ring to remove any rough areas. It needs to be smooth enough for little hands. Fold the piece of string in half to find the center point. Place the wooden ring over the center point and pull the ends of the string through the loop. This will secure the ring. Add the beads and bells on each side of the ring. Tie the ends of the string in a tight knot, and place the nursing necklace in a gift box. With a little decoupage medium and some special images and paper, you can make a set of decorative baby blocks to give as a unique gift. These blocks take only paper-crafting skills, so you don't need to have experience working with wood. Expect to spend a couple of hours making 12 blocks. 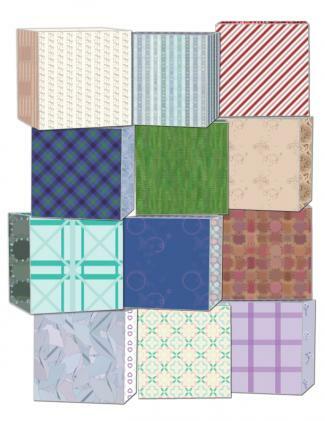 For each block, cut scrapbook paper and images to cover each of the sides. Apply decoupage medium to the block, and stick on the paper and images. Apply another coat of decoupage medium and allow to dry. Add one more coat after the block is dry again. Finally, spray the sealant on all sides of the block to make a durable, baby-safe surface. Repeat with all the blocks to make a set. It can be fun for new moms to take pictures of the baby on his or her monthly birthday. You can help her document baby's first year by giving her a set of onesies that you've emblazoned with the appropriate month. This is a fun project that will take a couple of hours. Use your computer to create images for each month in the baby's first year. 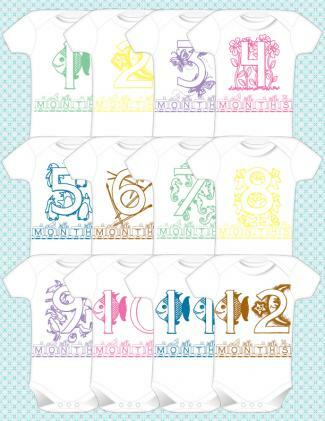 These can be as simple as text that says "1 Month Old" or similar. Print these images onto the iron-on paper. Cut around the image, leaving just a small margin. Iron the images onto the onesies according to the directions on the iron-on paper. Package the onesies together in order of the month. Choosing to make a unique shower gift is a very special way to show your love. No matter which project you choose, no one else will have the same gift at the baby shower, and you'll have the satisfaction of knowing you made something the mom-to-be will treasure for years to come.